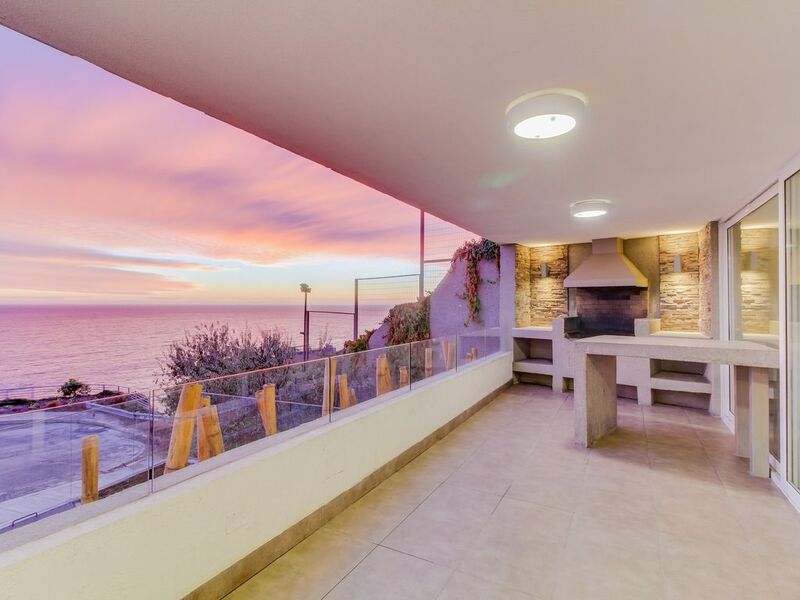 This elegant and spacious Concón apartment is perfect for treating your family and friends to the best of Chile's central coast. You will have no worries inside this modern apartment equipped with all you may need for a pleasant stay: from a kitchen that features all the necessary cooking elements, to cable TV and free WiFi to spend your evenings. You will have a large balcony to watch the beautiful sunset, enjoy the sunlight, and feel the ocean breeze. The building has numerous shared amenities that you will be able to use, like a relaxing indoor heated pool, a gym, and a pool table. Besides, you can use the sauna and the barbecue area in the terrace if you make a previous reservation. The center of Concón lies three miles to the northeast, putting the area's best shopping and dining no more than a quick drive away. The city also features rich history to explore via the exhibits of the Historical and Archaeological Museum of Concon. The soft sands of Playa Cochoa to the south are a mile closer. The world-famous rolling Dunas de Concón are just to the north, perfect for sandboarding or exploring from a dune buggy. Do not forget to try the delicious food of this city, the gastronomical city of Chile. This beautiful apartment will make a perfect escape during your next vacations! El departamento es grande, cómodo, el balcón increíble, los servicios del edificio son excelentes. 100% Recomendada!